Ink in ballpoint pens and inkjet printer cartridges share a common trait — they’re designed to dry quickly. Fast-drying ink works well when the ink dries on paper, but not so well if the ink dries on the printhead that dispenses it. When ink dries on a ball point of a pen, the ball no longer rolls smoothly on paper to evenly distribute ink, which creates blots of ink on a page. 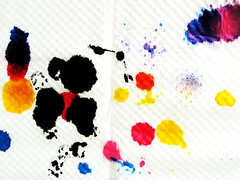 The same is true for inkjet printers when ink dries on the printhead — blots of ink appear on a printed page. To prevent your inkjet printer cartridges from this blockage, follow these tips. When you turn off the printer using the power on-off switch, the shutdown process places the printhead in an off position and seals it. When the printer is turned off by simply unplugging it or from another power failure, the printhead may remain in the on position without a proper seal, resulting in ink drying on the printhead, which can create blots of ink that smudge and tarnish output. You should use the printer regularly to keep ink flowing so it does not dry and crust on the printhead. At the least, print a test page every week. If you do not use a printer regularly, then an inkjet printer may not be the right fit for you. Unlike an inkjet printer, a laser printer will not suffer from long periods of inactivity. Print a diagnostic test using the printer software or from the printer’s console display. If you see any thin white lines across any of the printed blocks, clean the printheads. A thin white line may indicate that the printhead has a blockage. Check the operator’s manual on how to clean the printheads with the printer software or from the printer console. You can also try turning the printer off and then on. It may initiate diagnostics and automatically clean the printhead when it boots up. After cleaning, if another diagnostic test still indicates a thin white line across the printed blocks, clean the printheads manually. Do you want to save some money on printing? Try Century Gothic. Hit by the high prices of inkjet and toner cartridges, we’re all looking for ways to shave some bucks off the cost of printing. New data has found that because different fonts use different amounts of ink to print, using the right font could save you as much as 31 percent off your inkjet and toner cartridge expenses. Testing was performed by setting up two printers–a Canon inkjet and a Brother laser printer–to see how much money could be saved by using different fonts. Both printers were left at their default settings of 600×600 dots per inch. Can the right font cut your printing costs? The winner: Century Gothic, which delivered a 31 percent savings in printing costs over Arial. As a thin and light font, Century Gothic managed to beat out Econfont, which was specifically created to cut costs by spewing out less ink. 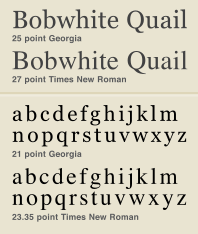 But if Century Gothic doesn’t look like the right style for your documents, third place and always popular Times Roman could also help ease your printing budget. Using an inkjet printer less often actually lowers the amount of pages you can print with the same cartridge. This is because the printer uses a small amount of ink to clear the printer nozzles each time you start your printer. For example, if you printer 1,000 pages with your printer all in one day, you would use less ink if you printer the same 1,000 pages if you printed them over a period of a year. This is one quick fact about how to measure your ink cartridges usage to gauge how to get the most prints out of your ink cartridges.